Today’s hike was unexpected. We have had quite a few days of very nice November weather – last weekend, and this weekend both have been beautiful fall days. Cold at night, but sunny during the day. I had to work Friday night so I wasn’t sure if I could make it work, but things worked out great. We got a bit of a late start due to my sleeping in a bit. We got to the east end of the Rimrock trail about 11:30 and headed up. The dogs were ready to go (as usual). While we were getting ready, they were running back and forth down the 5830 road like maniacs. They probably hiked 2 or 3 times as far as we did…. We continued around that meadow/swamp and soon came to the big swamp/lake – Cottonwood Meadow Lake? (not sure what it is called). 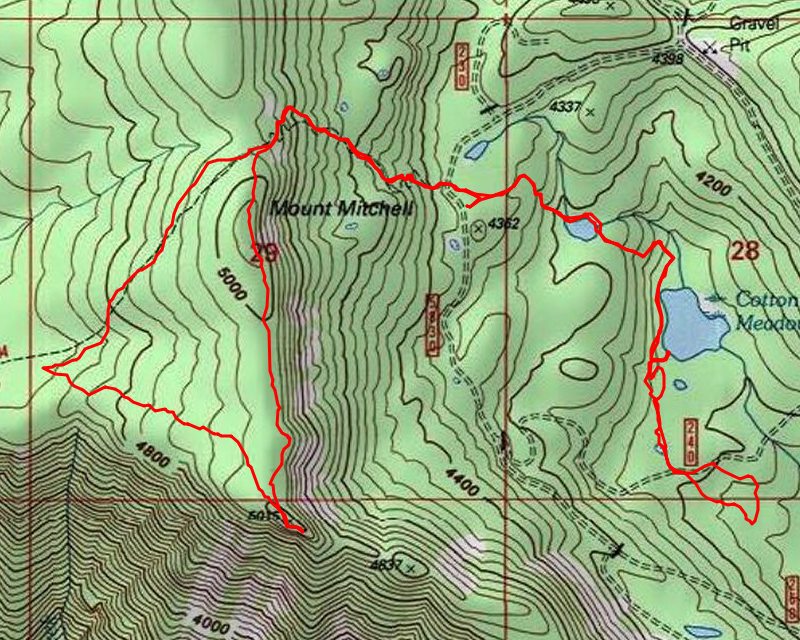 We took the route on the west side of the lake, continued south and had to route around another wet area, finally coming to the large meadow north of the 5830-240 spur road. This is essentially the end of the trail until you get down to the 265 spur, where the beautiful south end of the trail exists. We didn’t go that far since we didn’t have enough time. We headed cross country a bit to explore the area – we went down the road a bit and then headed south where it seemed more open. It was for the most part, but was still rough going. We were running out of daylight, so we headed back up the hill – we didn’t really want to hike in the dark – we knew it would get cold really quickly once the sun went down. We went down the spur pretty much to the end. We were hoping there might be some sort of view, but things have grown up too much. It was interesting – part way down, the road went thru some uncut area that was really pretty. It had a campsite next to the road. We turned around and headed back. As we were driving, the sun went down – by the time we got back to Estacada, it was pretty much dark. We stopped at Fearless for a burger and a beer. The perfect way to end a good day of exploration!